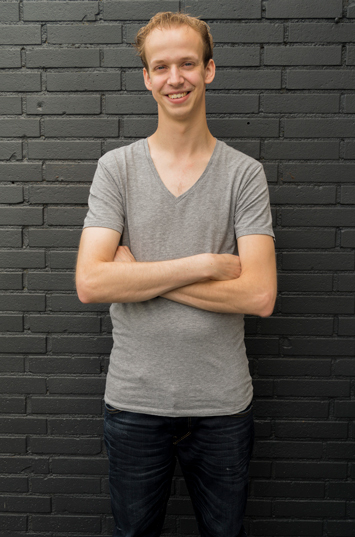 I’m Maikel van Hoof, 27 years old and I live in Valkenswaard (Noord-Brabant, The Netherlands). On the internet I’m better known as Laggtastic. I have developed a passion for both traditional as digital art. I used to be a traditional artist, I still am of course, but thanks to my study for game art my interest in 3D game assets and renderings increased. Now my horizon of abilities has been expanded, I enjoy it very much to have some variation in my works. Next to these creative passions, I have some kind of car addiction which you can see clearly in my traditional works. I draw them either with pencils or markers and I enjoy every hour I work on these drawings, also I put a lot of time into them to achieve the results I’d like to have. In my spare time I love playing games, primarily shooter and race games. I graduated in 2011 as a Desktop Publisher at Sintlucas which is located in Eindhoven, The Netherlands. Fairly quick I noticed this was not my kind of job when I was halfway through this study, so after graduation I started my new study at the same school: Game-art. I graduated for Game-art in 2015, and thanks to my internships and the classes I learned a lot about creating games, concept art and product visualisation. During my study for Desktop Publishing I had 2 internships; One internship at TVG Design and another one at Graphic Design. During these internships it was my main task to edit images, creating illustrations and creating various documents. Also for my Game-art study I had 2 internships: One internship at the visualisation studio 3Dimerce and another one at a game studio named Team6 Game Studios. During my internship at 3Dimerce it was my main task to add correct materials to product 3D models and render them correctly. After my internship there I I had the chance to work there during the summer holiday to get more work experience, and in most cases the same tasks as I had during my internship. During my internship at Team6 Game Studios I had various tasks such as creating new game assets and adjusting existing models. With all these tasks which I had during my internships I have learned a lot for both 2D as 3D art. After graduating I also worked temporarily for Team6 Game Studios on a game project which is still being developed. My task was to create a few smaller assets for them, some were only 3D models, others were finished assets including textures. Since September 2016 until May 2018 I’ve been working part-time as guest-instructor for SintLucas as well, to teach 1st grade MBO students a little about what is involved to create game-art. This starts out with 2D art, but later also 3D asset development. Currently I’m employed as a 3D designer at Electude since August 2018. Even though I try various styles every now and then for drawing and 3D art, my preference goes to a realistic style. Every time I try to achieve a better result, honing my skills, no matter if it’s for working with pencils or 3D software. To expand my skills or get better at what I do already, I find my inspiration in works from other artists. Sometimes I find a new art style to try, or perhaps a nice workflow which helps me to speed up the progress to create a visualisation.